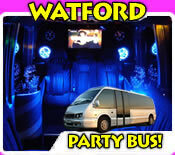 16 Seater Party Bus With Fantastic Interior! DVD player with flatscreen TV! Lazers and strobes for the nightclub feeling! Easy access with large door! On top of all of these features passengers can also enjoy some excellent optional extras including magnum bubbly (for over 18s only), chocolates, toilet and smoke breaks, female and male hosts, balloons and adult entertainment (over 18s only)! The limousine bus is fully licensed and insured inline with all local authority regulations and you can be sure of a FIRST CLASS service at all times! 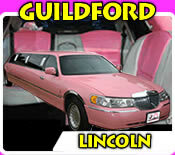 Fully built to a unique set of specifications, could this be the best part limo hire Watford, Hemel Hempstead, Tring, Amersham, Luton or St. Albans have in town? We think so! Our flexible booking terms means we cover a wide area including all towns in across Hertfordshire, Buckinghamshire and Bedfordshire! 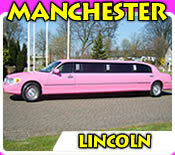 Treat the kids to a birthday limo ride that gives them a taste of nightclub life in a safe, responsible environment, or let your hair down with the girls on a hen night! 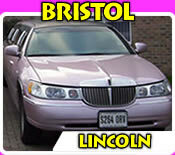 As we move into summer, why not book your prom car ride with us? Sharing the costs between friends means everyone onboard can enjoy some luxury and great fun without breaking the bank! 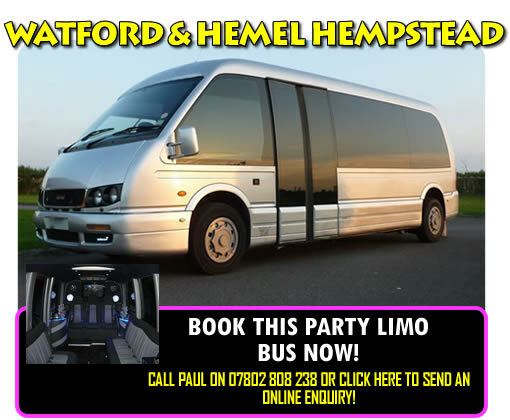 For rates and availability please call your party bus driver Paul on 07802 808 238 for a hassle-free quote (Quote Pink Limo Listings for best rates). 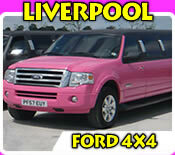 Alternatively just complete the form below with your travel details and we'll get back to you!